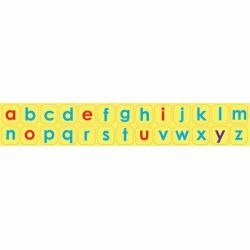 Thick foam magnets feature color-coded consonants and vowels. 4 sets of A-Z. 104 pieces.